Ports SSD card reader port, 2 x USB 3.0, 1 x USB 2.0, Gigabit Ethernet port, HDMI port, USB Type-C, and a 3.5mm Headset Jack. The Xiaomi Mi Notebook comes with a full metal reinforced body with a magnesium alloy skeleton. It is super slim and has a body thickness of 19.9 mm. It has a dimension of 40.00 x 27.00 x 5.00 cm and weighs about 3.3kg which is about the weight of an average laptop. It uses the hyperbolic keycap design so that it can perfectly fit the finger and its 1.5mm rebound height makes it more comfortable. 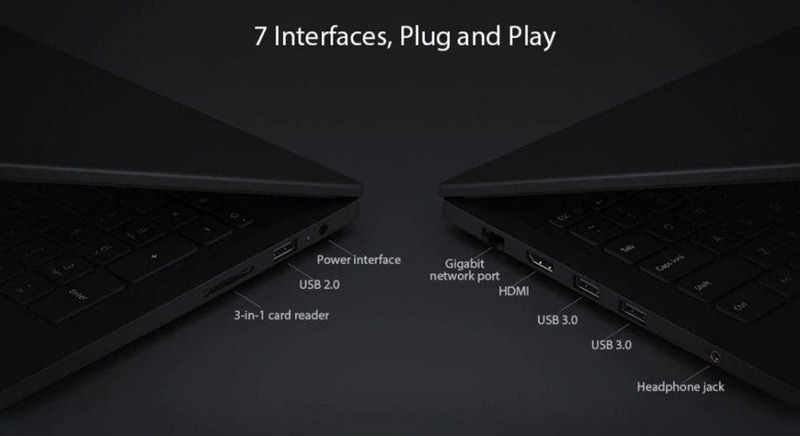 The Xiaomi Mi Notebook comes with a 15.6-inch FHD screen with a sharpness that is 1.5 times that of a 24-inch desktop. It has an NTSC colour gamut of 72%, wide viewing angle of 178 degrees, and it supports high-definition anti-glare. It has a display ratio of 16:9 and a display resolution of 1920 x 1080 (FHD). Read Also: This is not a music player, Its the Xiaomi Air pump! 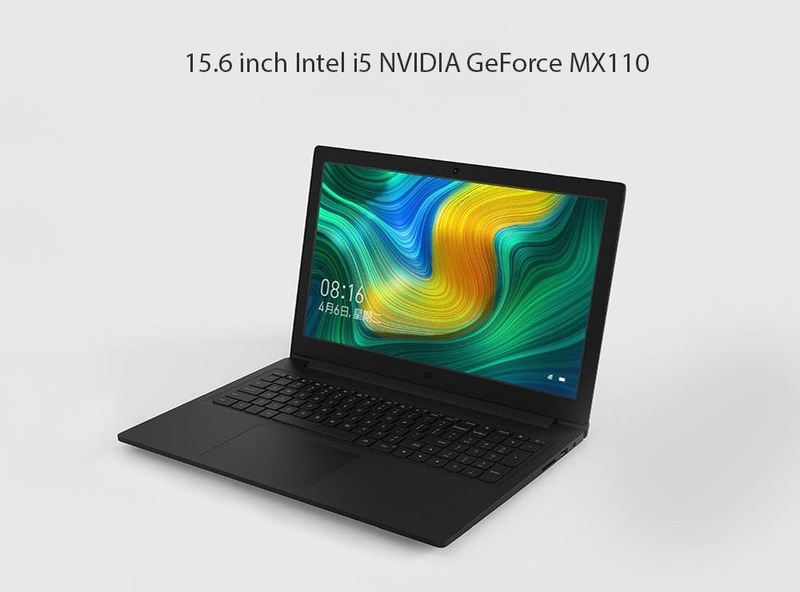 The Xiaomi Mi Notebook is equipped with an Intel Core i5-8250U coupled with an NVIDIA GeForce MX110 2GB memory GPU for a stable image and video processing capability. This configuration is supported by 4GB of RAM (up to 32GB) and 128GB SSD (+ 1TB HDD). 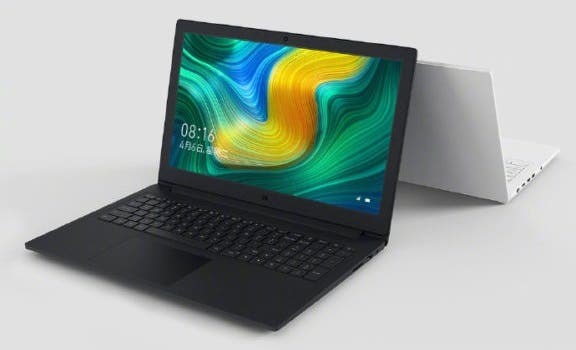 For perfect heat dissipation, this Xiaomi Mi Notebook comes with an external expansion body design with four air outlet design, 3+2 enclosed heat pipe and supports the tornado high-speed heat dissipation with one button. This configuration increases the air volume by 38.5% especially with its unique S-shaped turbine metal blades and 12V drive motor. This notebook comes with a plethora of connectivity options. It is equipped with an SSD card reader port, 1 x USB 2.0, 2 x USB 3.0, Gigabit Ethernet port, HDMI port, USB Type-C, and a 3.5mm Headset Jack. 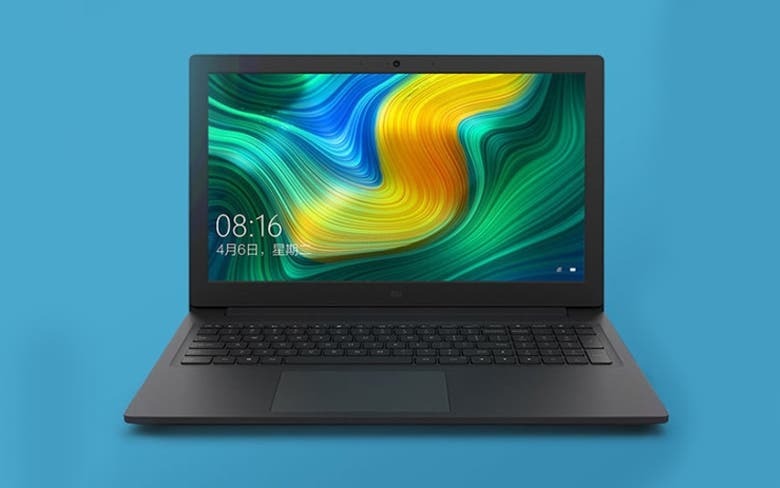 The Xiaomi Mi Notebook is currently available on a couple of stores and we have provided the necessary links below.